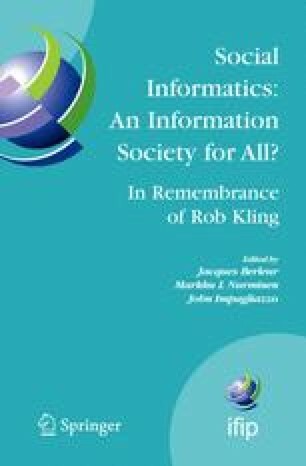 This paper presents ongoing social changes related to the use of ICT. They are analyzed under the headings: workforce, organizational design and structure, psychosocial communication, and work content. A theoretical model entitled ‘The Convergence theory on ICT and Psychosocial Life Environment’ is described, which reflects main ongoing processes in the Network society encompassing various spheres of life, environments, and human roles. A special section analyzes the ongoing changes in the home and home environment. Social Informatics is discussed related to the model and special attention is devoted to the individual level and humans. Concluding remarks deal with visions and actions. Figures with circles and converging circles are used to illustrate and summarize.